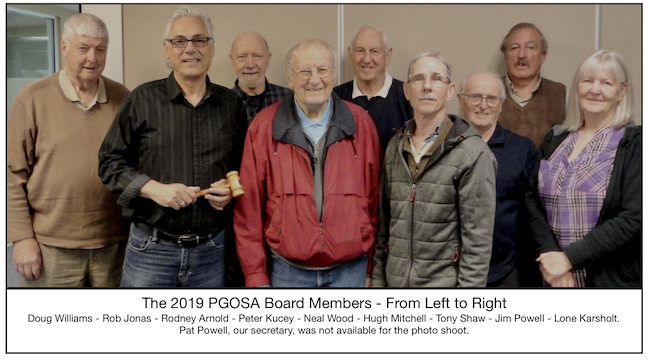 Monday, April 15 was the date of the Annual General Meeting of PGOSA. The members chose their executive for the coming year. We are pleased that all of the directors from last year have returned to serve again for another year. Members also welcomed our newest board members, Doug Williams, Rodney Arnold and Hugh Mitchell. We now have a total ten serving board members which should prove to be an active group to work for the general membership. Already, board members have taken on some very important tasks for the coming year.